Madcity Paragliding is a Full Time, Year Round training center. 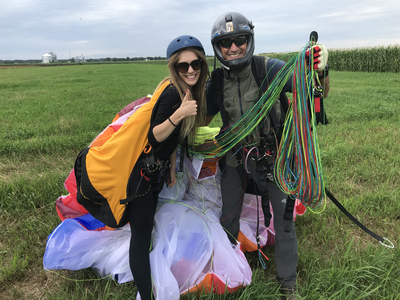 Our Certified USPPA and USHPA Instructors will guide you from your first inflations running with the wing all the way through a thorough training program. 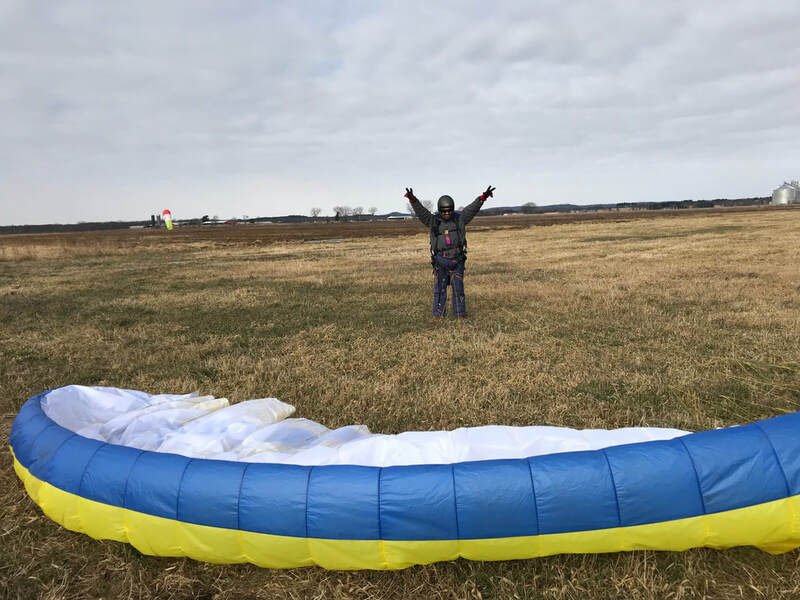 Using the USPPA or USHPA Syllabus, we will explore practical skills such as preflight, setup, kiting, launching, flying, approach, landing as well as equipment, weather, active piloting, staying legal, aerodynamics, soaring lifting air, reserve parachute, risk management, motor and glider care, and much more! Call us today for an introductory lesson that will sweep you off your feet! 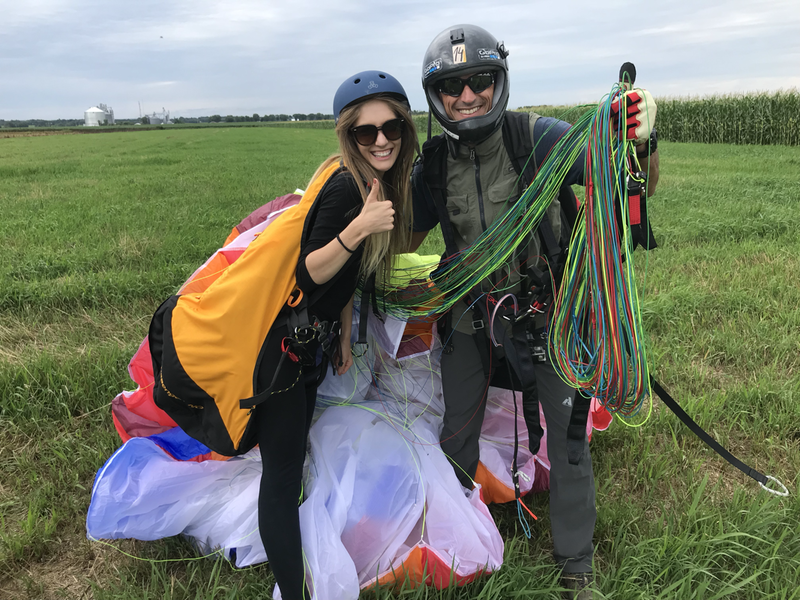 Come fly like a bird with us at Madcity Paragliding in beautiful South Central Wisconsin and start your training on the right foot. 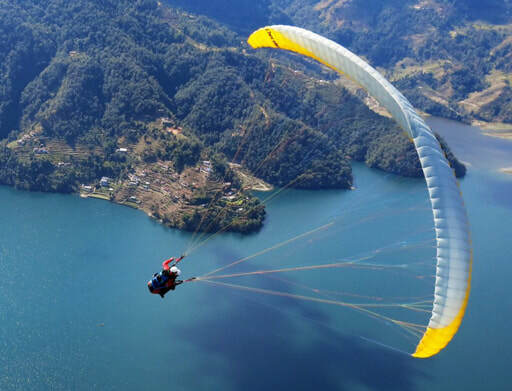 The government does not regulate paragliding or paramotor instruction. No license is required and anyone can hang out a shingle calling themselves an instructor. The problem is, how does a new pilot know whether the individual or school follows safe practices, has a thorough training program or even has the knowledge and skills to teach students? That is why the certification program was developed. Picking an instructor is an important step in learning to fly. You will be spending a great deal of time together both during training and often times afterwards as well. The introductory session is when both you and the instructor will decide if you are a good fit for each other. ﻿Everything you need to get you into the air comfortably and safely. 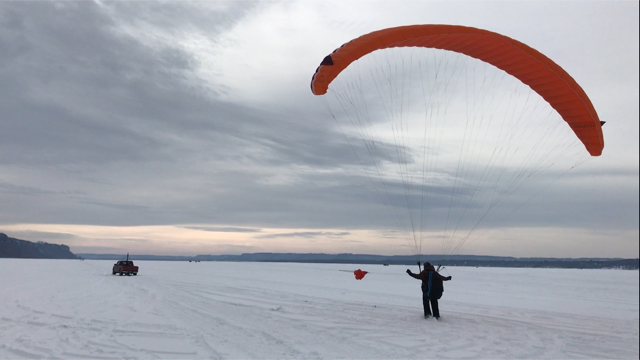 Interested in Motorless Paragliding? We can help you with that too! With our state of the art tow winch and USHPA certified tow operators we can get you aloft without the weight and noise of a motor on your back. Not USHPA certified yet? We offer USHPA training and certification.